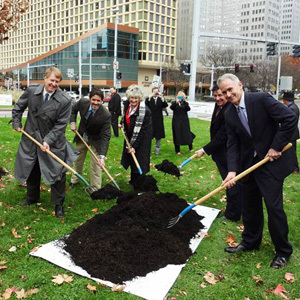 Tree Pittsburgh’s mis­sion is to pro­tect and restore our urban for­est through com­mu­ni­ty tree plant­i­ng and care, edu­ca­tion, and advo­ca­cy. 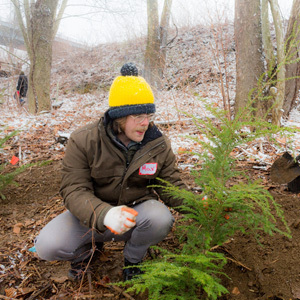 We plant trees along Pittsburgh’s hills in an effort to restore and pro­tect the hill­sides and pre­vent ero­sion. Tree Pitts­burgh also part­ners in the Tree­Vi­tal­ize pro­gram, which has plant­ed over 25,000 street trees in the City of Pitts­burgh since its incep­tion in 2008. 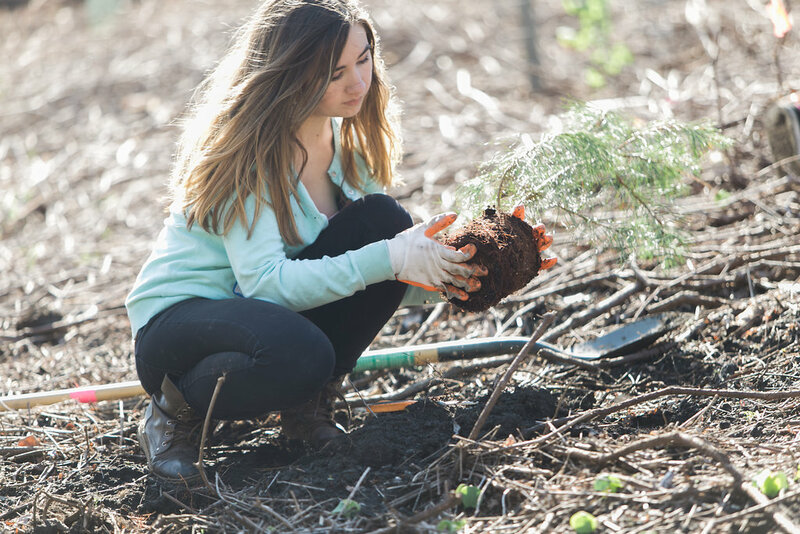 We care for trees through our win­ter prun­ing and sum­mer tree care crews as well as lead­ing vol­un­teer groups in neigh­bor­hoods and from cor­po­rate part­ners. Read more about our tree care.